The Argentine coach explained a few weeks ago the situation with the player from Malaga to President Florentino Perez, who showed his support without any conditioning. Solari has not been thrown into the void with his decision to relegate Isco to a secondary role. Since the arrival of the Argentine coach to the Madrid bench, the Spaniard has only started in three of 18 games that the coach has led to the first template. Practically, the three duels were inconsequential: the return of Copa del Rey against Melilla and the last day of Champions against CSKA. The last time he started was in the second round of the Cup against Leganes. It was the first Malaga away from the Bernabeu with the Argentine. 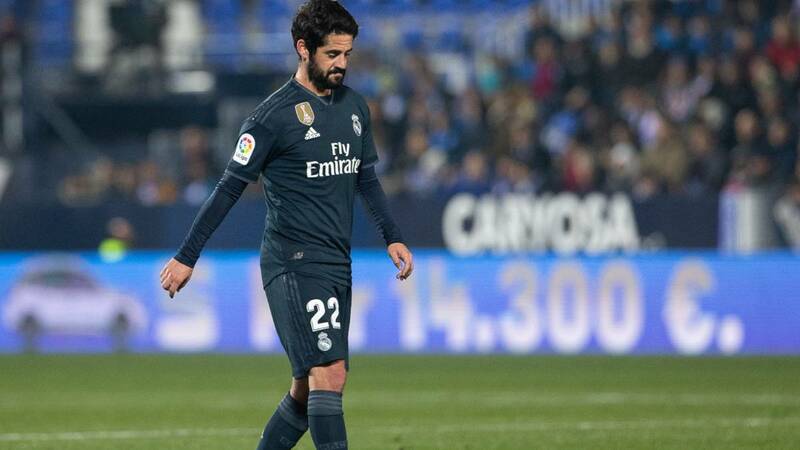 Solari has decided that Isco does not fit in his scheme of play, although he publicly acknowledged that he was a player who loved. Solari wants verticality and short possessions, while Isco is a pause and driving player. To this incompatibility of football concept, unite assumptions that the malagueño would have made the coach (and his coaching staff) on several occasions . With this panorama, Solari has been filled with arguments to justify the ostracism in which Isco finds himself. Of all this, Florentino Perez has been informed weeks ago, who supports the technician. So Solari already knows for weeks that he has the presidential support to maintain the pulse with Isco until he decides to adapt to the style of game that demands him and improve their fitness, another of the key points to explain their ostracism. In any case, the club have decided that Isco will be one of the players who will try to make cash to finance the revolution that the team needs to continue being competitive at the highest level the next years. Hazard, Eriksen, Kane ... are some of the reinforcements that Madrid has in its portfolio and in order to face them, it requires the sale of an important asset such as the malagueño.